Fortunate to be born and raised in Kailua on the Island of Oahu! You already know that I am outgoing and love to enjoy life, which in my “Book of Life” translates to Hawaii Life! Growing up on the Windward side of Oahu, the beach is where you would find me, with not a care in the world…where the sun was shining and the blue ocean to keep me cool. Sand sliding, body surfing and swimming was a weekly event for my friends and I, and Shore Break was the popular surf spot in our quaint little town of Kailua. Camping every summer on the North Shore was another all time favorite, and when we camped it was with 5 to 6 different families. Boy did we enjoy those seven days! It was time to grow up, go to work, get married, and have a family of my own. My career of choice at the time was the hospitality industry, sharing the Spirit of Aloha to the guests who came from afar to visit the islands. Helping people in any way I could was and is part of my DNA. After starting my family it was relevant that I needed 9:00 to 5:00 employment, and that is how I started my journey in the real estate industry. I applied for a position that I found in a newspaper ad, Escrow? I had no idea what that was. All I knew at the time was that I needed to work 9:00 to 5:00. Well, I landed the position as an escrow secretary, which was what it was called back in the day of the one-page, two-sided DROA (Deposit, Receipt, Offer and Acceptance) known today as the Purchase Contract. 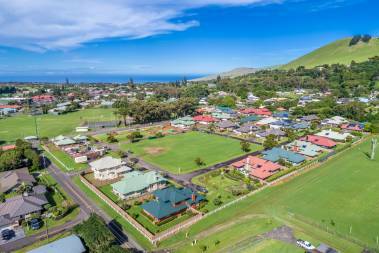 Today you can find me on the Island of Hawai’i, also known as the Big Island in another quaint little town known as Kamuela or Waimea, Cattle Country, where for miles you can enjoy the beauty of green pastures and rolling hills…which is my heaven on earth. Life is a journey, and my 30+ years in escrow, property management, hospitality and real estate has led me here, enjoying Hawaii Life, and wanting nothing more than to assist you in acquiring a piece of Hawaii Life too. Let me help you reach your real estate goals. I am at your service, with a warm touch of aloha.